Take advantage of the great prices here on quality HVAC solutions, like return air grilles for door installation. PlumbersStock mostly carries vents by Shoemaker, which is one of the industry's most trusted names. 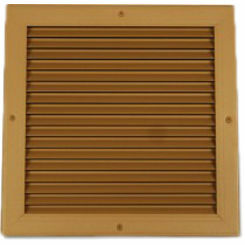 If you have trouble locating the correct door return air grille, please do not hesitate to contact us.